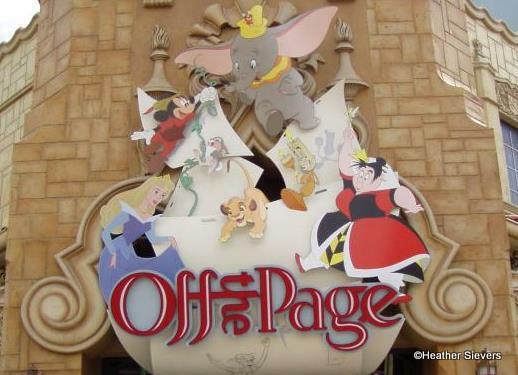 One of my favorite stores to visit in Disney California Adventure is the “Off the Page” gallery located next to the Art of Animation building in the Hollywood Pictures Backlot. They always have fun items ranging from fine art, to tech gadgets, to kitchen goodies and statuettes. 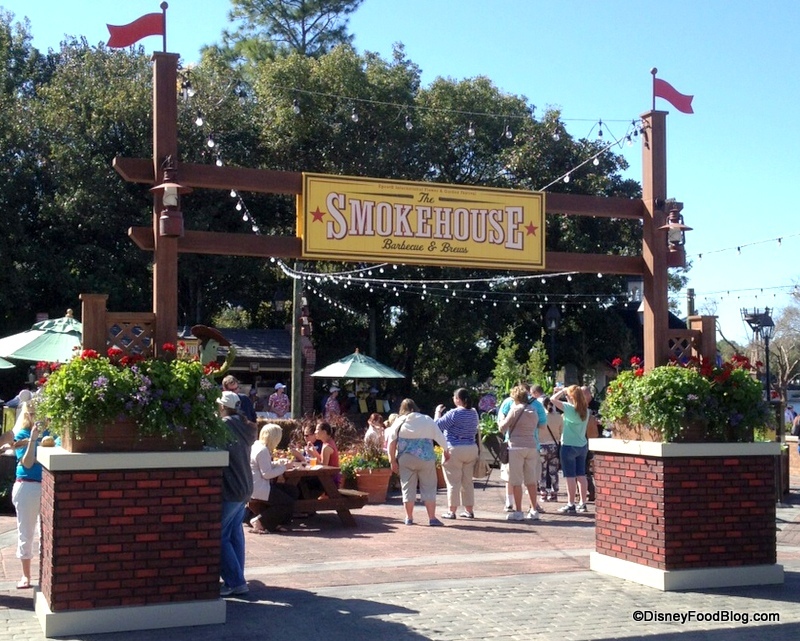 On a recent visit I noticed these cute “Foodie” statues and thought it would be fun to share them on the blog. 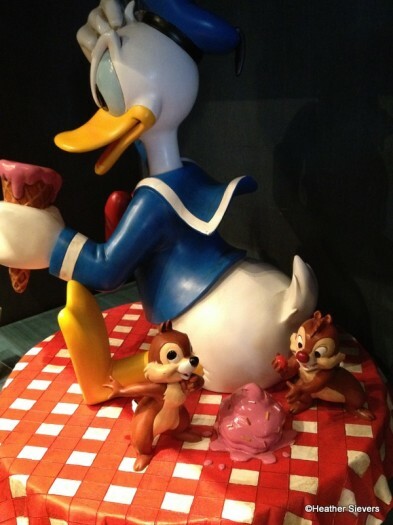 My favorite of the statues is this Donald Duck piece with Chip and Dale behind him sneakily stealing his ice cream. 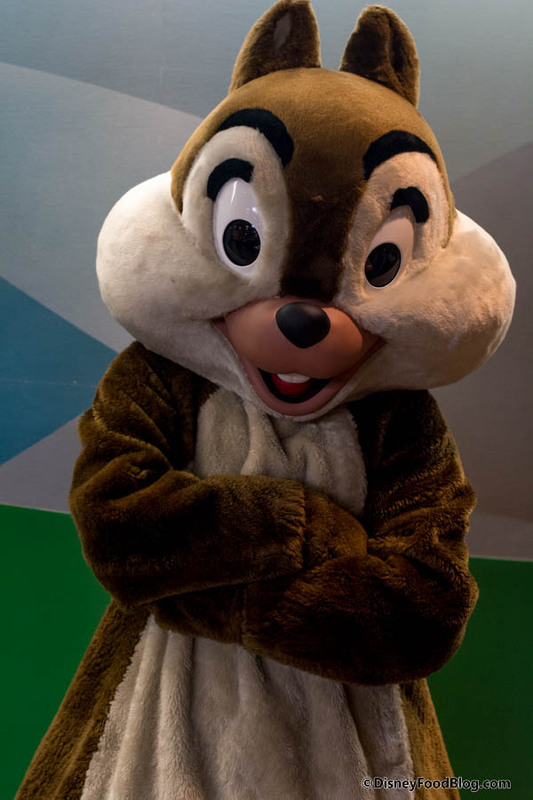 The statue is pretty large, 17 inches tall, and designed by Disney artist Brian Blackmore. It’s hand painted sculpted resin and sells for $199.95. Sneaky little Chip n' Dale! 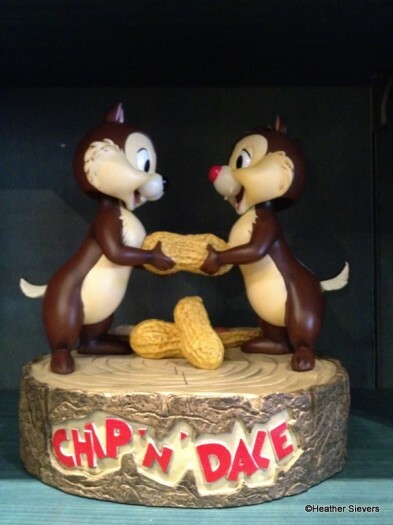 Next up we’ve got Chip and Dale “sharing” a peanut. 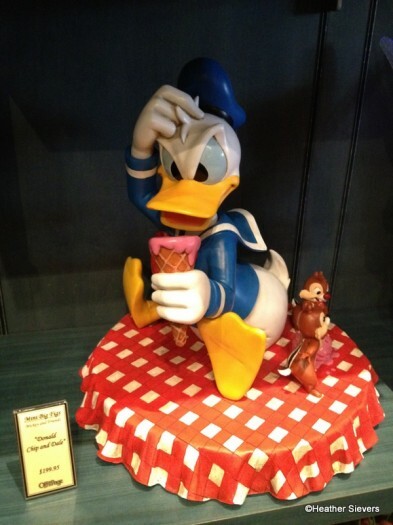 Also made of hand painted sculpted resin, this statue stands 12 inches high and was designed by Disney Artist Costa Alavezos. It’s $99.95. 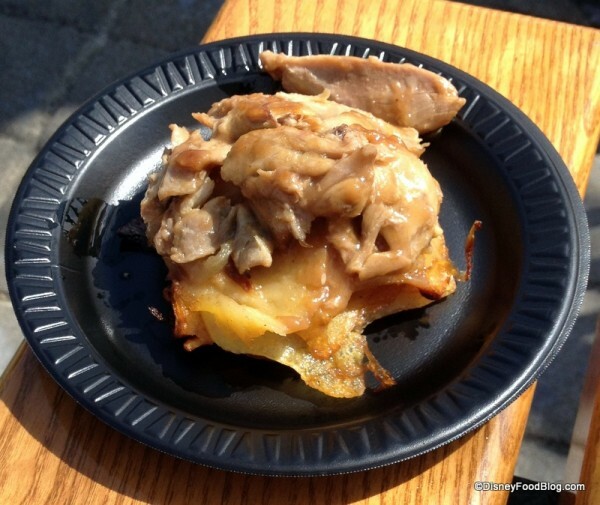 Disney Food for Families columnist Erin Foster sings the praises of her favorite Disney treat. Other Disney snacks are more luscious, richer, chewier, and chocolate-ier. I have a place in my heart for some of these sultry sirens (I’m talking to you Disney fudge). 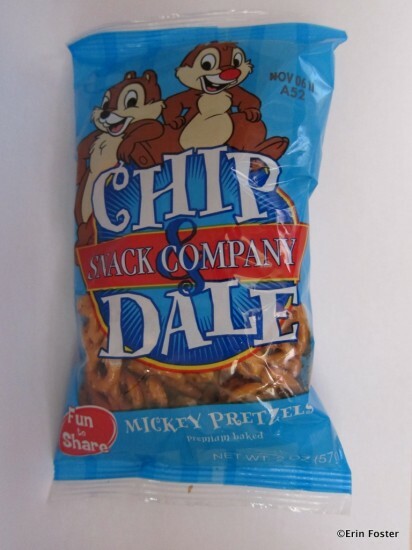 But when it comes time to choose a snack to take home with me, I’m going with the Chip & Dale pretzel every time. 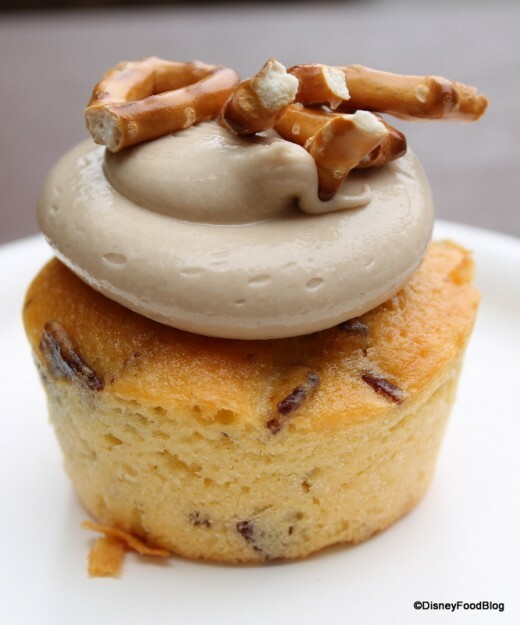 A Kitchen Sink Sundae With No Calories! Really! 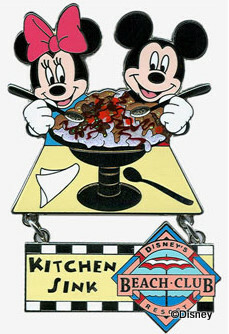 I was searching for pics of the 2010 Epcot Food and Wine Festival pins and look what I happened to come across! Jeff Kocan, an incredible writer and blogger over at www.CigarettesandCoffee.com (he was the evil photographer of this little ditty — don’t look if you’re hungry), kindly penned and photographed this review of the Garden Grill Restaurant in Epcot’s The Land. 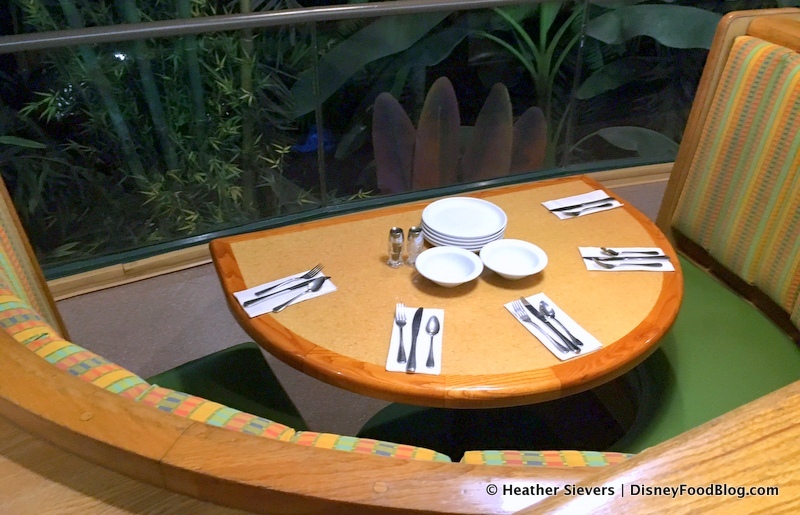 This rotating restaurant is in many of our childhood memories, but these days, it’s got a new “spin.” (Couldn’t help it.) Take it away, Jeff! 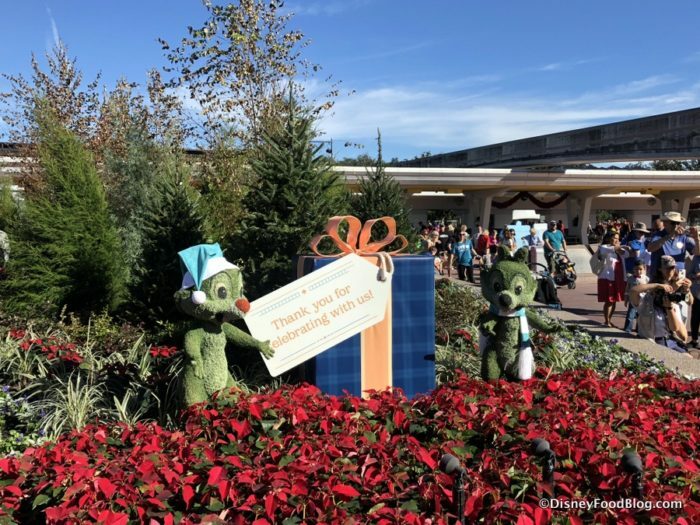 For too many Walt Disney World visitors, The Land pavilion on the east side of Epcot’s Future World is probably best known as the building you rush through twice per visit – once to get Soarin’ Fastpasses and once to redeem them. 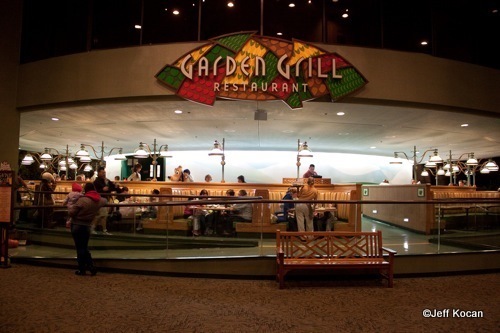 It’s worth spending a little extra time here, though, as the building also houses an above-average food court, a more-fun-than-it-sounds agricultural boat ride, and one of the park’s most unique restaurants, the revolving Garden Grill. The Garden Grill has been around since Epcot’s (or, if you will, EPCOT Center’s) opening day on October 1, 1982. Back then it was known as the Good Turn Restaurant; it became the Land Grille Room in 1986 before taking its current name in ’93. 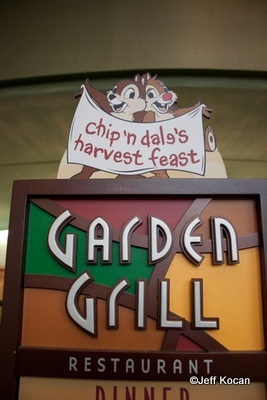 Lunch service here ended in 2008, and the restaurant now exclusively hosts Chip and Dale’s Harvest Feast, a family-style character dinner. 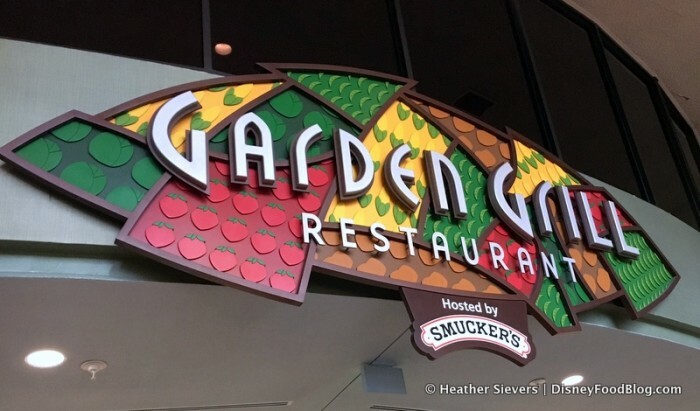 I tend to think of the Garden Grill as one of Disney World’s “forgotten” character meals — it certainly isn’t mentioned as frequently as, say, Chef Mickey’s or Cinderella’s Royal Table. 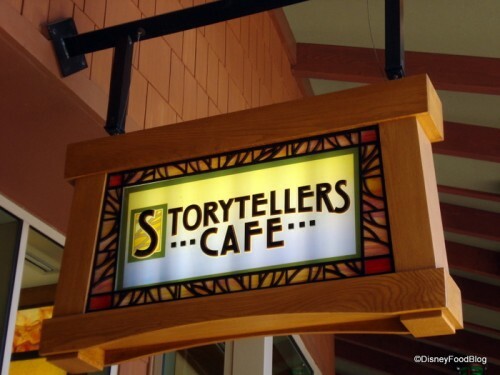 That said, during our Sunday-night visit, the restaurant was full and the adjacent waiting area was packed with diners waiting for their buzzers to buzz. 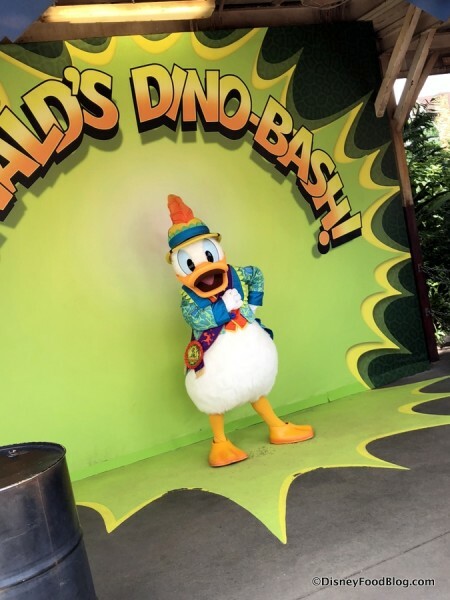 Said waiting area is essentially a vacant corner near the public restrooms, and aside from a couple benches, the ground is the only available seating. 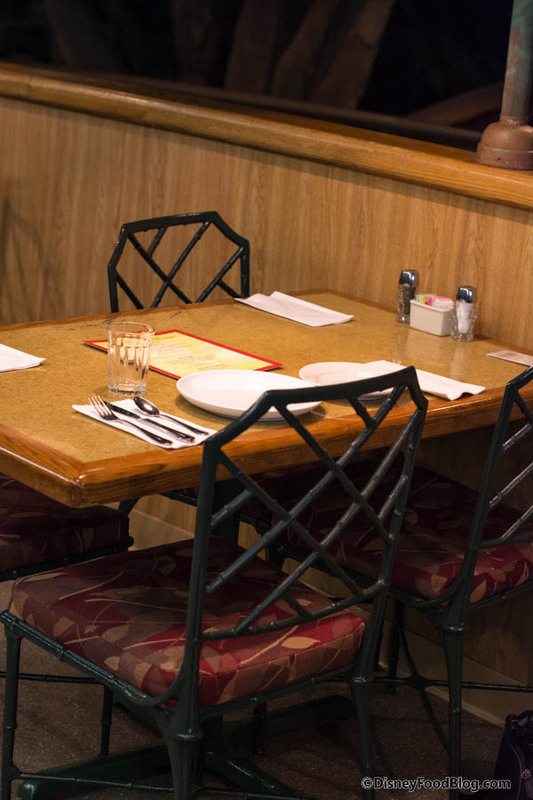 Germophobes may prefer to stand.